From Mexican jungles to the small-town gridirons of Ohio, from medieval villages and royal courts to modern soccer pitches and baseball parks, The Ball explores the little-known origins of our favorite sports across the centuries, and traces how a simple invention like the ball has come to stake an unrivaled claim on our passions, our money, and our lives. 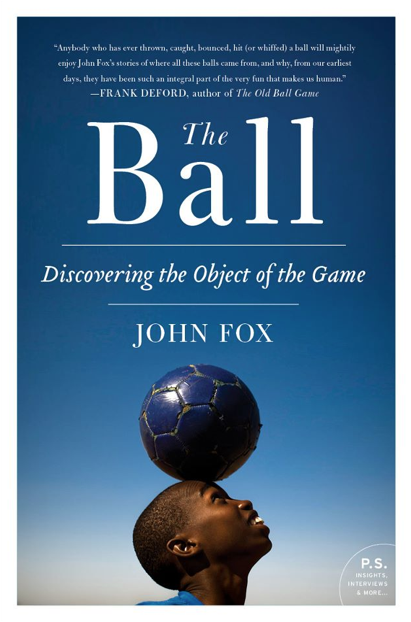 Equal parts history and travelogue, The Ball removes us from the scandals and commercialism of today’s sports world to uncover the true reasons we play ball, helping us reclaim our universal connection to the games we love. For a more visual take on the book, check out the trailer. It uses footage of the Kirkwall Ba’, an ancient version of football still played on the isle of Orkney in Scotland that I write about in the book. The trailer was shot by my friends David McLain and Jerome Thelia as part of our documentary BOUNCE: How the Ball Taught the World to Play.